Shayne Metcalfe is a filmmaker and video artist living Saskatchewan. He is a partner in ISEE Motion Picture Company, a Canadian production company with experience delivering to broadcast and industrial markets. Shayne has experience working in nearly every position on a feature film crew. He has written and directed drama, commercials, and nationally broadcast documentaries. Shayne has taught filmmaking and written curriculum for three post secondary schools and is considered an expert in the field of video by the Department of National Defense for whom he has delivered a course titled “Advanced Video” training. He has been a Directors Guild of Canada Director member from 2001 to 2010 before leaving to work as an independent, served as a member of the SMPIA board of directors From 2006 to 2010 and as jury member for Yorkton Short film and Flicks film festivals. Shayne is an award winning filmmaker and has worked on numerous award winning productions. His work has been seen on television and in art galleries. Shayne was chosen as one of nine Canadian directors to develop a “Directors Film and Television Competency Chart” for CHRC (Cultural Human Resources Council) the chart is a standard for training television directors. Shayne “cut his teeth” in low budget drama with the independent film “Alien Taxidermy». The project was written, directed, and produced by Shayne with self finance and a small grant from the NFB and Canada Council. 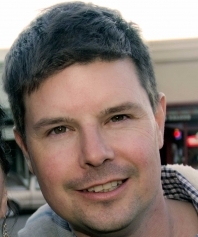 The project gave Shayne a reputation among producers as a resourceful and multi-skilled filmmaker and led to numerous jobs in the Canadian film industry. Shayne currently directs for film, television and online markets, exhibits video art installations in galleries and writes for the screen with two feature screenplays, a series in development and documentary in post-production.